A Citibank employee in India has been accused of defrauding wealthy individual and corporate clients of millions of dollars. The alleged fraud was discovered earlier this month in a branch of the global bank in Gurgaon, a wealthy suburb of the Indian capital, Delhi. The employee solicited investment in a fictitious scheme, promising high returns in a short time, the bank said. Police say the wanted staff member has now gone missing. Earlier he was suspended after a complaint was lodged by the bank with the police. 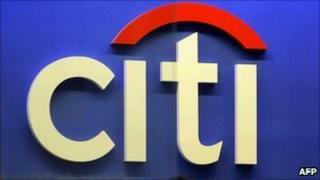 Citibank has refused to publicly put a figure on the alleged fraud but senior police officers told Indian newspapers that at least $20m (£12,951,188) was stolen. According to the official police complaint filed by Citibank, which has been seen by the BBC, the suspicious transfer of funds at its branch in the wealthy Delhi suburb of Gurgaon, began in October 2009. The US bank, which has a large presence in India, accused the missing employee of forging documents and persuading a number of clients to put money into a fake investment scheme. But instead of making his clients a fortune as promised, the bank claims he channelled the money into accounts allegedly controlled by three of his relatives. The police are now looking for the man, who they say has absconded. Meanwhile Finance Minister Pranab Mukherjee dismissed fears that the alleged fraud was caused by any systemic weakness in Indian banking, describing it simply as an "individual misdemeanour". "We recently initiated an investigation into a certain set of suspicious transactions based on documents forged by an employee involving a few accounts in our Gurgaon branch," Citibank said in a statement. "We immediately reported the matter to all the relevant law enforcement authorities. "We are providing full assistance to the authorities in their investigations. This issue does not impact other accounts, transactions or customers of the bank," the statement added. A senior police officer investigating the case said that 18 accounts had been frozen in relation to the fraud.